Today’s festive cookie is one that has more memories associated with my fiance than me. He has a great number of memories from the Dutch side of his family, particularly his grandparents, feeding him all sorts of treats. Of all the ones he’s asked me to make, speculaas are certainly one of the most requested. And what better excuse to make them than for Christmas. Traditionally these cookies are baked for St Nicholas Day or for Christmas. As such they are also traditionally stamped with an image depicting St. Nicholas and the stories around him. 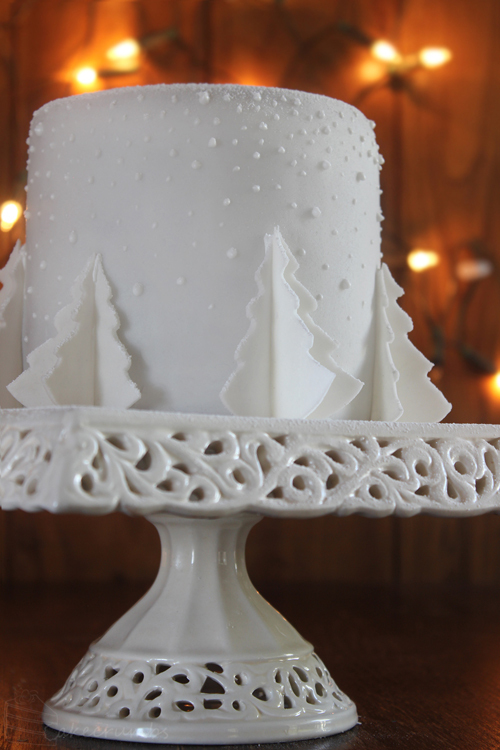 I didn’t have any springerle moulds so I settled with a simple Christmas star instead. Perhaps I’m stretching the biscuit theme a little here, but when making Klejne I couldn’t help but be reminded of another treat which is similar in method, similar in flour profile, but quite different in result. Koeksisters are a South African treat which is essentially a friend, plaited dough drenched in syrup. Another treat enjoyed year-round particularly in their native home, but often reserved for important celebrations. Once you make them you might realise why. This is not a treat that favours the waistline. The luxuriously soft donutty dough is lathered generously in a thick, sugary syrup; and its not exactly easy to stop and just one! Growing up around the northern suburbs of Melbourne meant growing up in a very multicultural area. Almost none of my friends were from white Aussie backgrounds and this meant I was incredibly lucky to grow up surrounded by a rich array of different cultures. One of the ways many of those cultures expressed themselves was through food. Every visit to friends’ houses after school introduced me to a world very unlike my own, and this was especially so at Christmas time. I remember so often being presented with platters full of Christmas cookies to take home of varying shapes and flavours I’d never seen before. Christmas at my house meant roast meats and salads and barbecues and pavlova and chocolate ripple cakes. But baking cookies was never one of our traditions. This year I wanted to spend some time visiting those memories and cuisines from around the world. This year I want to send people home with giant platters of traditional Christmas cookies. One might say its beginning it look a lot like Christmas. One thing I am doing a lot this year is cookie baking. So this week is going to be dedicated solely to Christmas cookies! Starting off super simple first off, this is a way to transform any of your favourite sugar cookie doughs. I had a lot of sugar cookie dough to use up, but this would be great with chocolate, gingerbread or any other kind of cookie dough you’re looking to make a little Christmassy with the least amount of effort possible. Back from a small accidental hiatus. Anyone who cosplays will know full well the drama that is cosplay crunch as the convention approaches. And they’ll know just as well the con plague that hits you after. Between being busy and sick there’s been no time to bake. But now its time. My favourite time of the year is approaching. 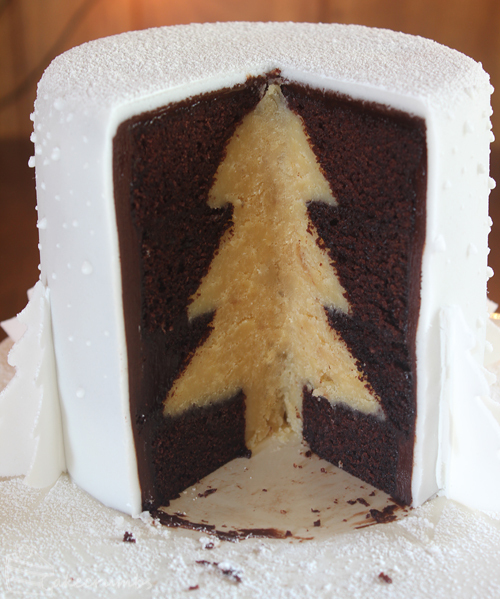 Its almost Christmas, which means it is the perfect excuse to bake and bake and bake. This week I eased into the festive season by baking a creme brulee with a twist. I had a lot of cream to use up and I wanted to try a Christmas-inspired creme brulee that wasn’t minty. Then the inspiration hit like it was always meant to be. Christmas baking is definitely my favourite kind of baking. And I don’t think it’s just because I’m a Christmas-a-holic (though it undoubtedly fuels the fire). There’s just something about the whimsical nature of treats, and the sheer quantity of excuses to create them that’s so exciting. The recipients always seem that little bit extra excited to eat the treats when they’re Christmas-themed, too. It was about a year ago that I tried making macarons for the first time. Intimidated by the horror stories, I kept putting it off. I learned then that they’re not as crazy difficult as they seem, and since then I virtually haven’t stopped. I’ve made macarons probably more than anything else this past year, and everyone here sure isn’t complaining. We absolutely love them. I love trying new flavour combinations, and everyone else loves devouring the spoils. Christmas baking is getting into gear and I’ve made hundreds of the bite-sized treats already. 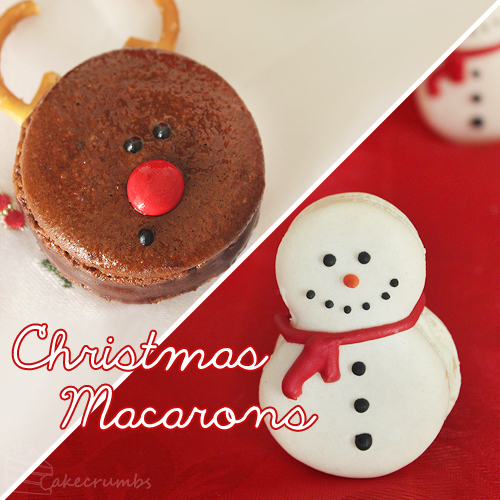 but while I was making standard macarons, I wanted to make some a little extra festive.